Are you a business owner or brand manager who wants to grow your sales on Amazon or other online venues? Are you worried about your brand being devalued on Amazon, or do you find the Amazon beast difficult to tame? You can grow your online sales. The steps needed to do so are specific, measurable, and repeatable. As you may have suspected, those who make the most sales online have learned systems and strategies that others do not know or use. You can greatly shorten the time it takes to get your sales where you want them to be. The key is to connect with someone who has already been where you want to go and knows how to get you there. 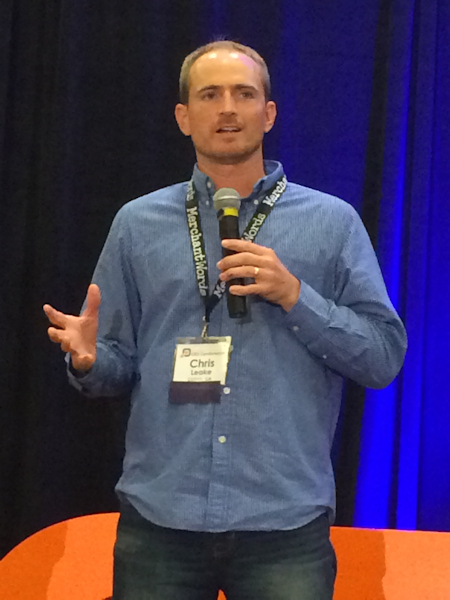 My name is Chris Leake, and I founded eCom Leverage to help people like you who are tired of lackluster sales of your products online. Think of eCom Leverage as the lever you can pull to grow your sales and strengthen your brand…far more than you can on your own! I began selling physical products on Amazon and other online marketplaces in 2012. There was a lot about online selling that went well right off the bat, but some parts of it had me beating my head against a wall. As I began making sales on Amazon, I was frustrated watching other brands outrank me and sell way higher numbers of products than our brands were selling. I was convinced they must know secrets I didn’t know…and it turns out I was right. I began to make a concerted effort to learn everything I could about growing a great brand and increasing our sales both on and off of Amazon. I spent thousands of dollars traveling to conferences and signing up for training courses. I tracked down really successful Amazon sellers at events I went to, bought them meals, and learned from them. I spent countless hours reading, watching videos, and scouring online forums. And most of all, I spent large chunks of time and money on trial and error. The more I learned, the more I realized it’s not all that difficult to succeed in growing a brand and selling physical products online. But it does take a very specific set of knowledge and systems. As my success increased I began to have other people contact me, wanting me to help them grow their brands’ sales online. At first I wasn’t all that interested in helping. I was busy running my business and managing our team members. Besides, how could I know we would really be able to help other brands? But after working with a couple of businesses, I realized that most brands are making simple mistakes that are absolutely killing their sales on Amazon or on their own websites. Correct those mistakes, and it’s easy to see a brand’s sales grow…and sometimes take off like a rocket ship. With one of our first clients, we made one simple change and almost tripled their Amazon sales in the first 30 days. We consulted with another client as they launched a completely unknown brand on Amazon. In 8 months they went from nothing to being their category’s leader and selling 500 units per month of just their first product. I quickly realized that it’s incredibly gratifying to be a part of helping other businesses succeed and reach their goals. So after my initial reluctance, I decided to build eCom Leverage and do all we can to help other businesses make more sales online. You listed your products for sale on Amazon, but your sales are low. Competitors are selling far more than you. Your products are not ranked high in Amazon search results. Third-party sellers are offering your products on Amazon and selling them for the wrong prices. You don’t even know who some of these sellers are. Someone put up photos, product titles, or product descriptions on Amazon that are hurting your brand or giving customers incorrect information. If you could double or triple or 10x your sales on Amazon it would be a huge breakthrough for your business! If any of that sounds like you, then you’ve come to the right place, because we can help! You Can’t Afford to Do Nothing! But it doesn’t have to be that way. Sometimes it’s the seemingly insignificant (at the time) decisions that make all the difference. Here’s your chance to make one of those little decisions…to take a small risk: Click a link below and take action! Subscribe to My Podcast – It’s FREE! That’s right, you’ll get ideas, inspiration, and amazing teaching that could make you thousands of dollars in sales…delivered straight to your ear buds for FREE! Download This Awesome Cheat Sheet – It lists 5 FREE tools that every company selling on Amazon should know about…you’ve got to see what they do! 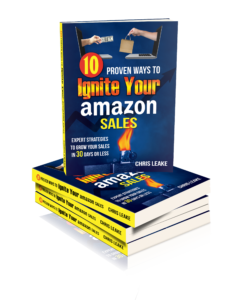 Read My Book – 10 Proven Ways to Ignite Your Amazon Sales is a detailed, action-oriented guide for growing your Amazon sales. Want to know how we grow sales of a client’s products? Read this book and you’ll know…it’s the playbook we use in our own business! Sign up for an Amazon Power Profit Review™ – If you’re serious about taking your Amazon sales to the next level, and you want our help, then start here. We’ll take an in-depth, personalized look at your brand’s presence on Amazon and give you a detailed advisory report. You’ll get prioritized, actionable steps to take, and a 45-minute phone consultation to go over our findings. I’ll also give you a free copy of my book, 10 Proven Ways to Ignite Your Amazon Sales. The best part: If we can’t clearly demonstrate how you can grow your sales on Amazon, your Amazon Power Profit Review™ is absolutely free! It’s time to take the next step…that small decision, that little risk…that could make all the difference. Click one of the four links above and start improving your brand on Amazon.